← Without satellites, would forecasting regress to the 1970s? However, he adds, some of these lights in the sky are actually satellites. There are rather a lot of them up there and they’re not only there for weather forecasting. 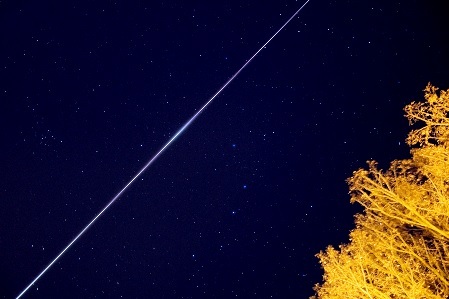 In the early morning or evening you can sometimes spot polar-orbiting satellites drifting slowly overhead. They appear as a small speck of light that moves from horizon to horizon over a period of a few minutes. The light you can see is actually sunlight being reflected off the large solar panels that the satellite relies upon for power. This light is sometimes referred to as a “flare”. Photo (courtesy of NOAA) of the International Space Station tracking across the sky at night. The International Space Station (ISS), Tim Peake’s new and temporary home, is perhaps the most well-known satellite, orbiting the Earth at an altitude of around 435km (270 miles). The flare from the huge solar panels on the ISS make it reasonably easy to spot in the night sky. Interestingly, in recent times the ISS has even been contributing valuable information on ocean surface winds from the RapidScat instrument, which is great for marine weather forecasting applications. We very much hope that RapidScat continues to work well and that it never needs attention from Tim or the other ISS astronauts. We take these satellites for granted, but we shouldn’t. Thanks to weather satellites we have accurate forecasts and timely warnings to help us prepare for the worst the weather can throw at us. Without weather satellites, we’d be living in a world where the next flood, the next heat wave and the next storm surge would come without warning with potentially disastrous consequences. Fortunately, the Met Office is an active participant in the design of many future satellite missions so we look forward to having weather satellites around for a long time to come. 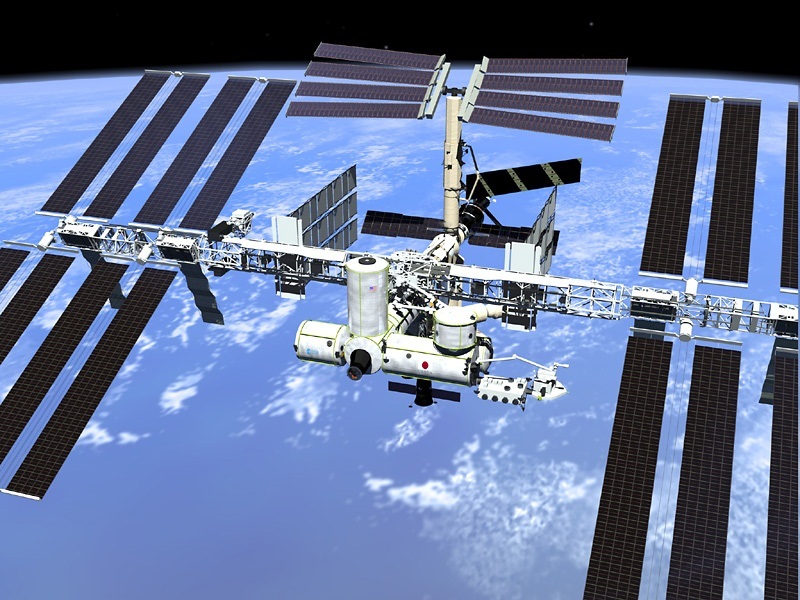 The International Space Station is relatively easy to spot as it is the second brightest object in the night sky (after the moon), and orbits the earth around 16 times each day. Picture courtesy: NASA. This entry was posted in Met Office News and tagged EUMETSAT, International Space Station, Met Office, meteorological satellites, Weather satellite. Bookmark the permalink.